It’s a shame how every year us car guys have to pack away our summer toys come fall. It’s like Lent except much longer. And colder. 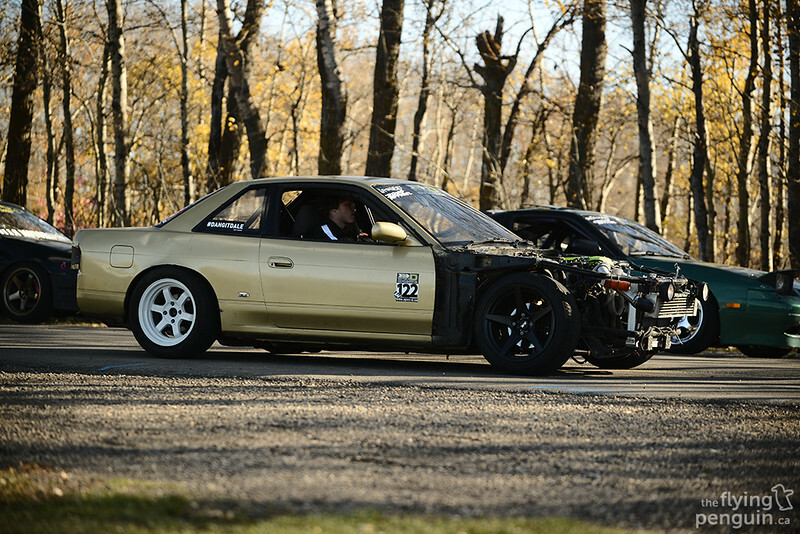 While there are some car people that welcome the freezing temperatures along with all the snow and ice that go with it (pretty much only Subaru owners), the majority of us would be considered what you call “fair weather” racers, or in this case, drifters. 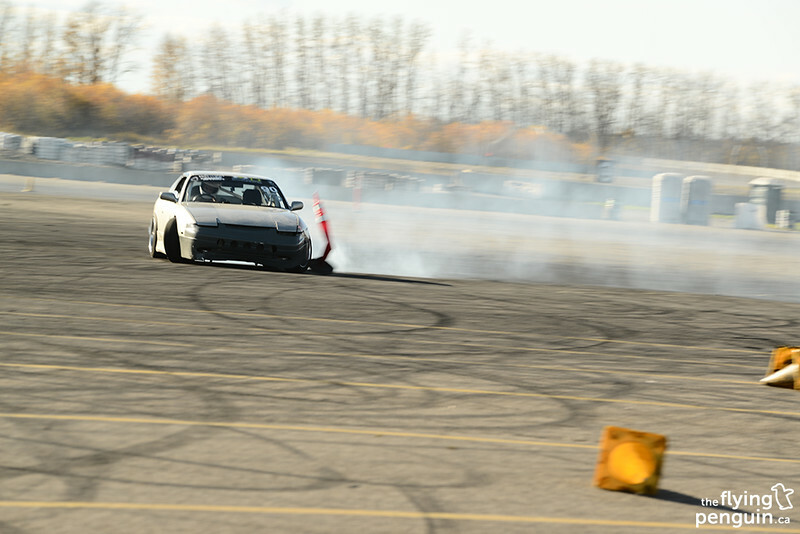 To help end the season in a bang, Spec –D puts on one last drifting event before winter, otherwise known as Sunday Funday. 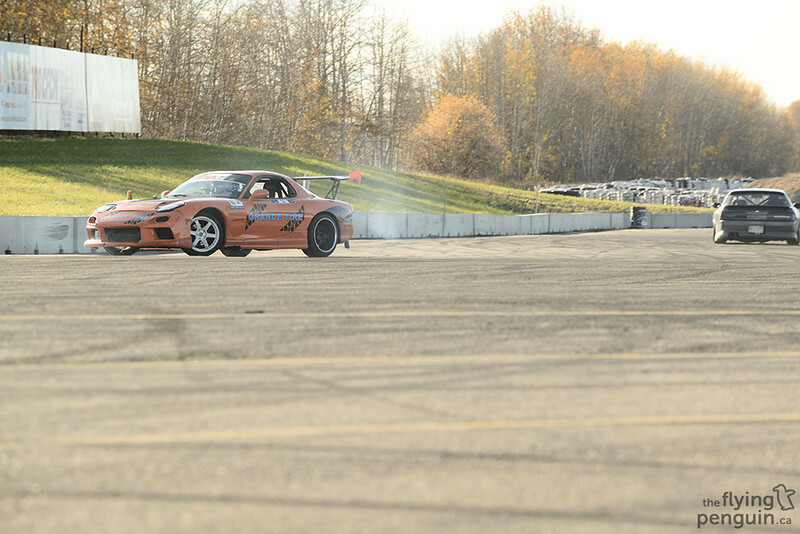 Unlike the rest of the events in the summer, this one is non-competitive; we’re all just here to have fun and to burn some rubber! 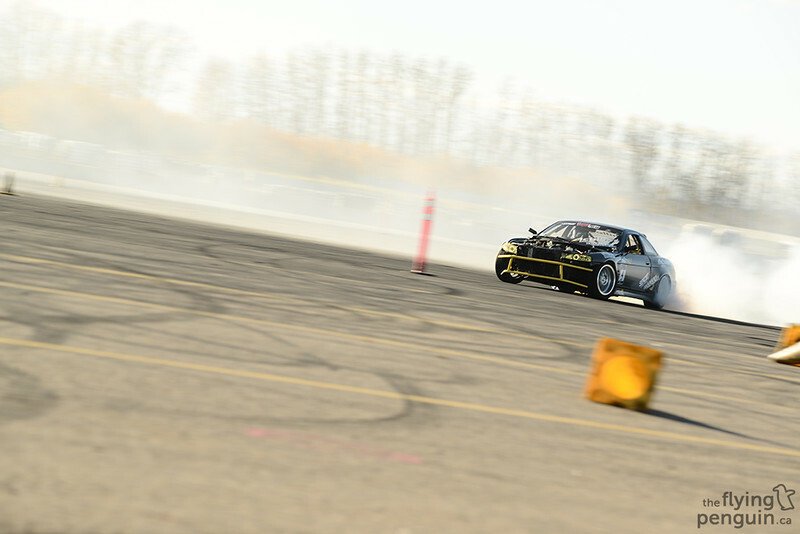 It didn’t matter if you drove a full blown competition car or a missile (drift car beater), this was the last event of the year so all that mattered was that whatever you drove could drift (or rather that YOU could drift). …in fact some people were out in some very “pretty” looking cars. 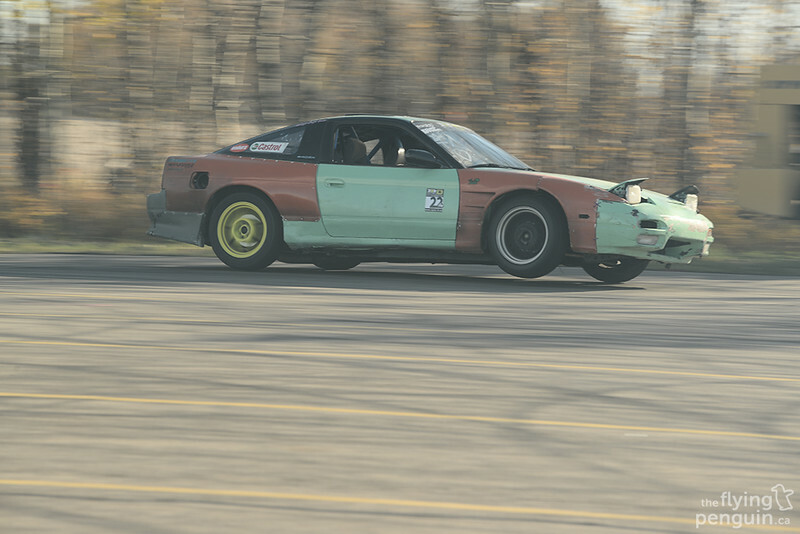 This car, the Drift Farm S13.4, was by far my favourite car there that day. 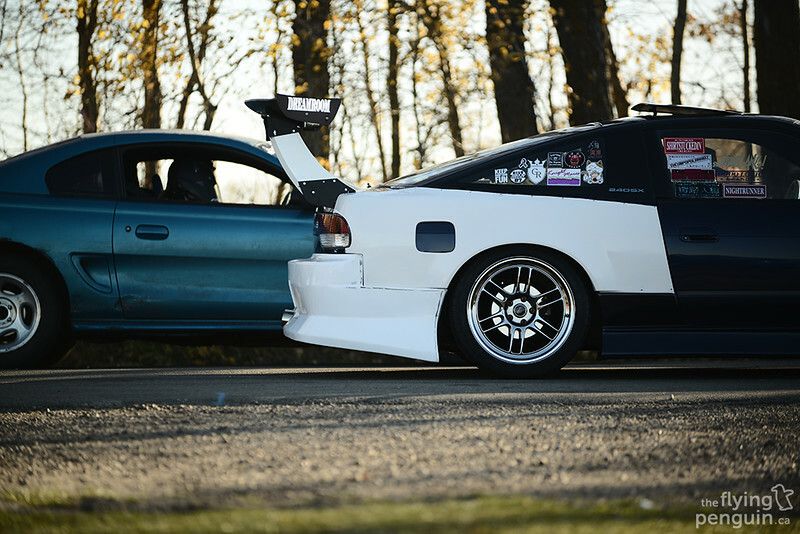 It also had no problem absolutely vaporizing those rear tires either with a fully built 2JZ under the hood! 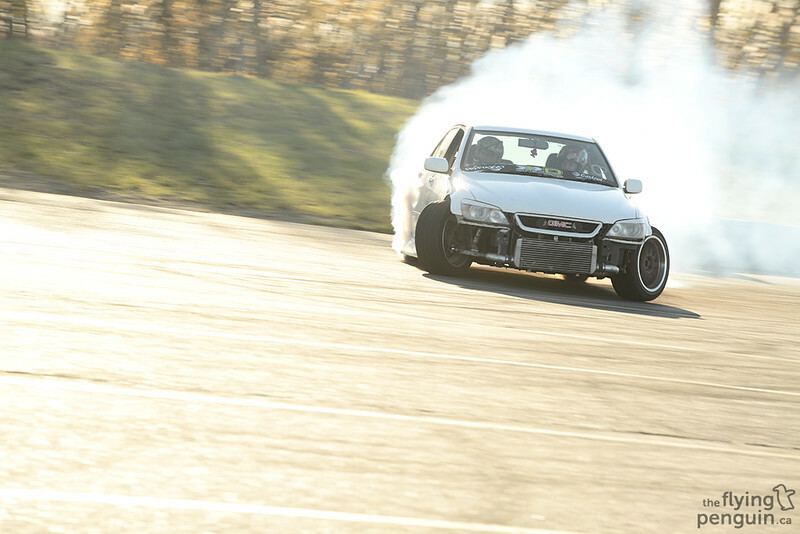 Another amazing machine present there that day was another car from Drift Farm in the form of this LS powered Soarer. I think they were having some issues with the car as it sat in the paddock most of the time. At least I managed to grab a few shots of it in action! 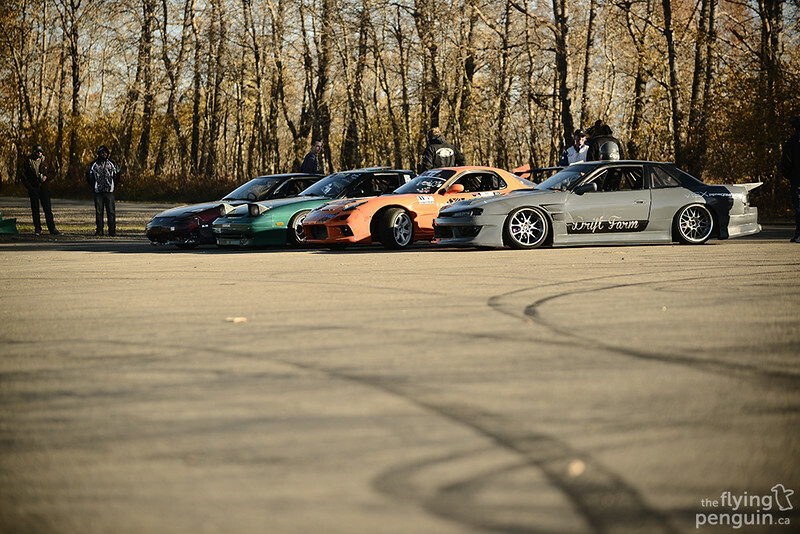 Chasers have always been hugely popular in drift circles over in Japan, so it was nice to see that more and more of them are being used for that exact purpose over here. 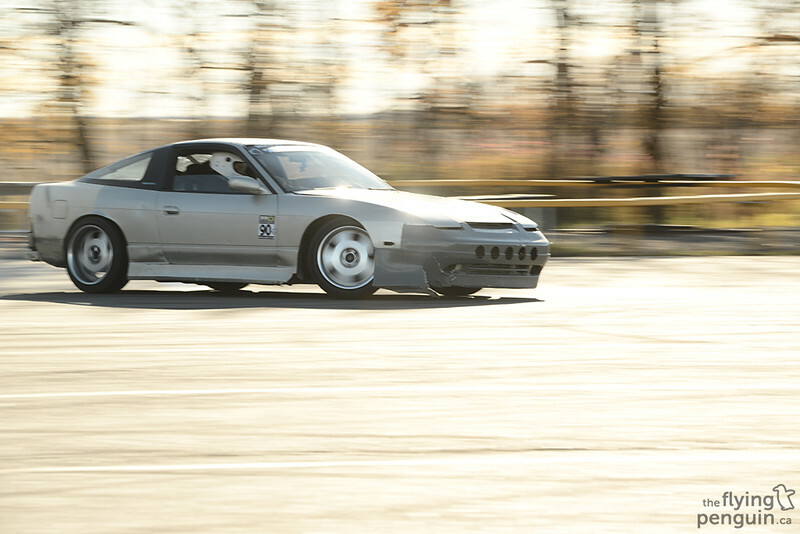 Plus they look so good going sideways! 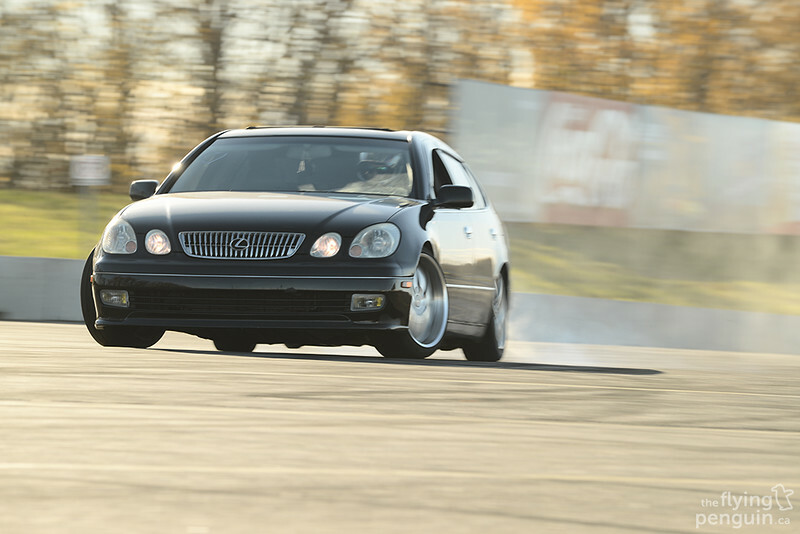 You rarely see Genesis’ at track events, let alone drifting. This one in particular was missing all front end bodywork but did have a bash bar attached in place. 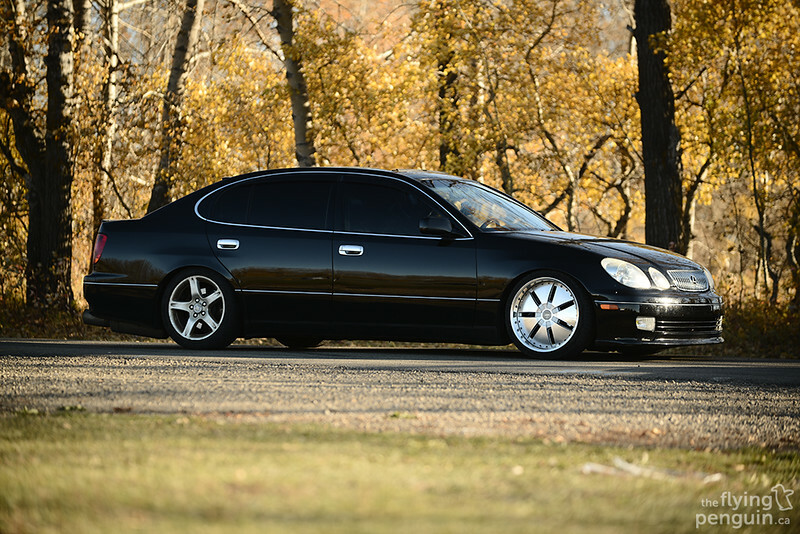 This is one car that I kept a close eye on all day, and for good reason. 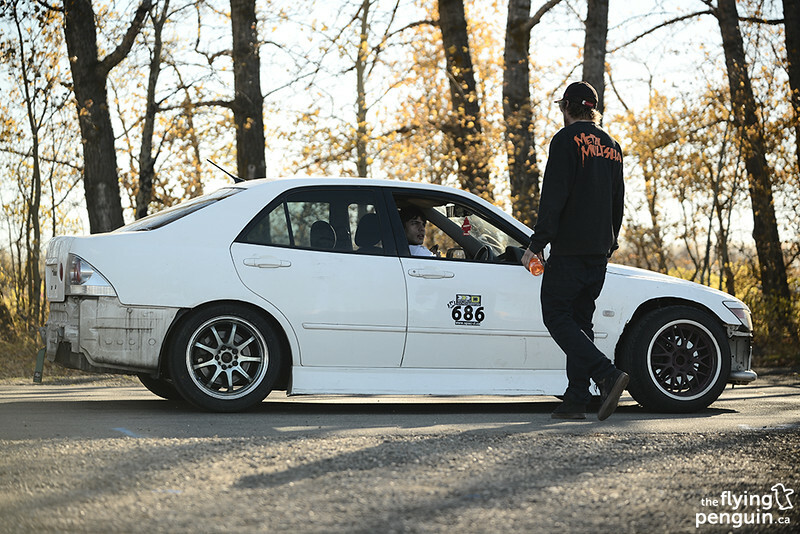 Apparently the driver of this Altezza has only been drifting for one year, something I never would’ve guessed after watching him throw this car around so violently run after run. 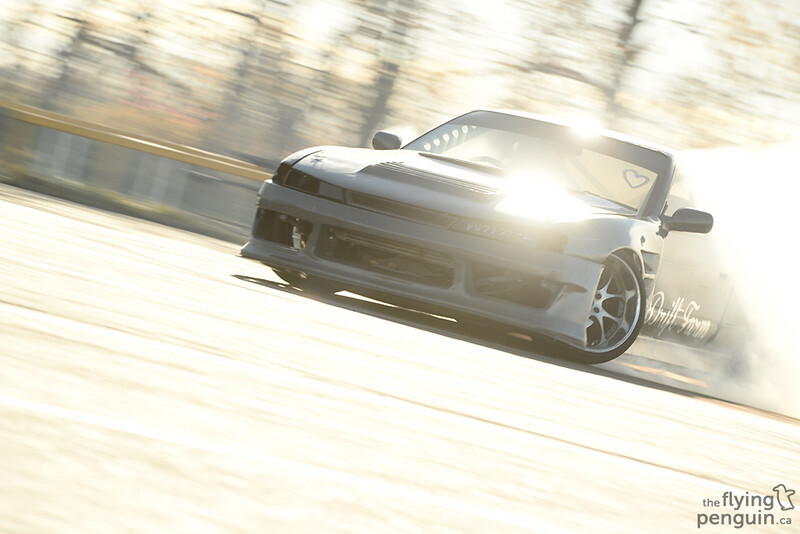 The amount of steering angle that this car has is insane! 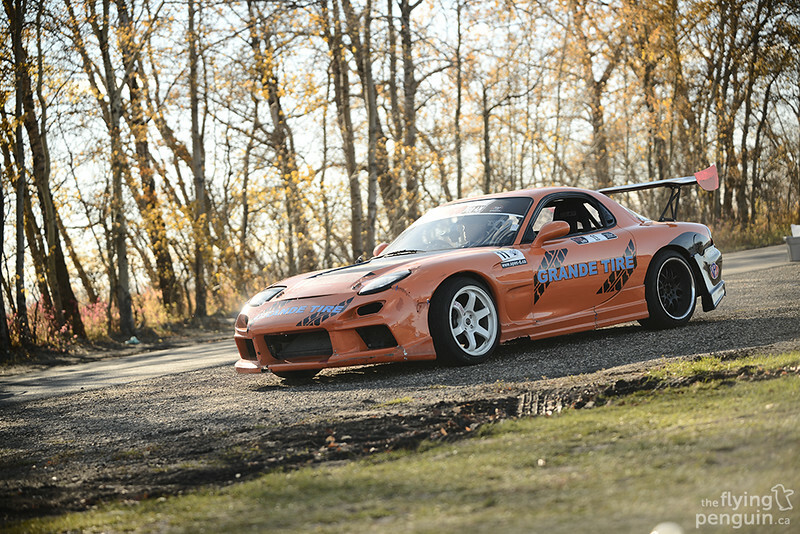 We’ve seen the Grande Tire FD before at round three of Drift West and it was great to see it back in action again. 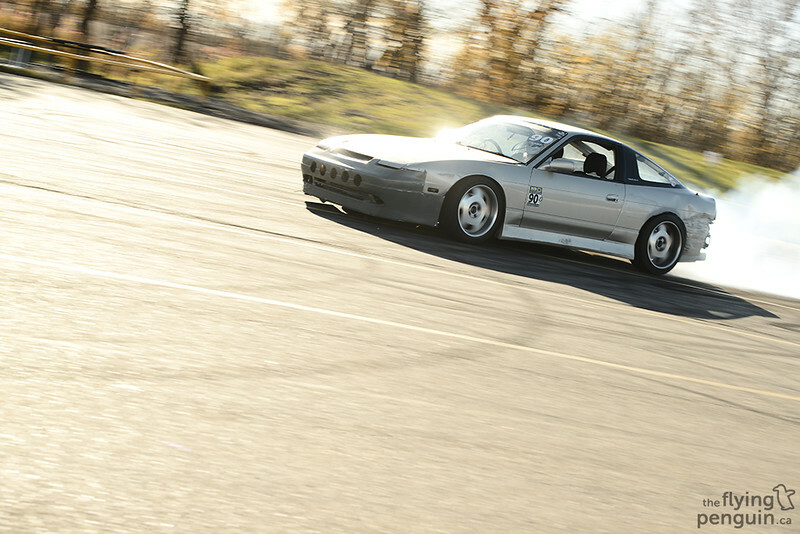 I’ve probably said this every time I’ve posted a picture of an RX-7, but I just can’t get enough of the sound of a rotary! 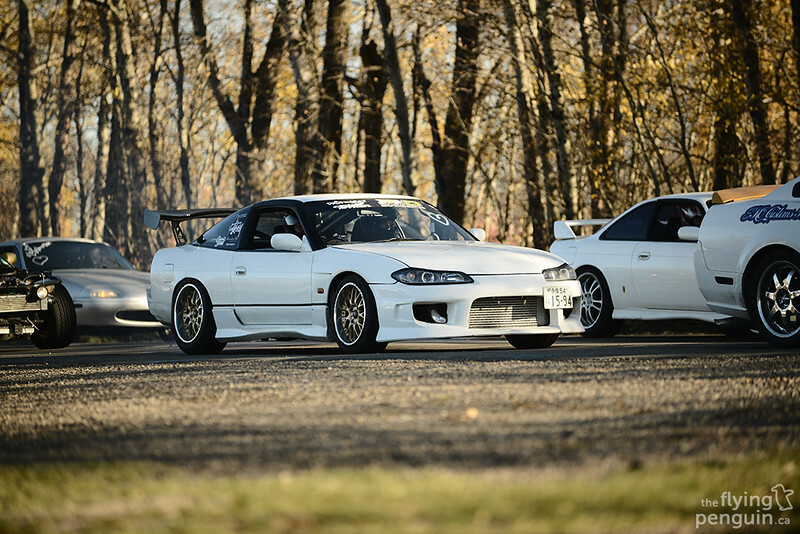 There were a few domestics out to play with all the imports as well. 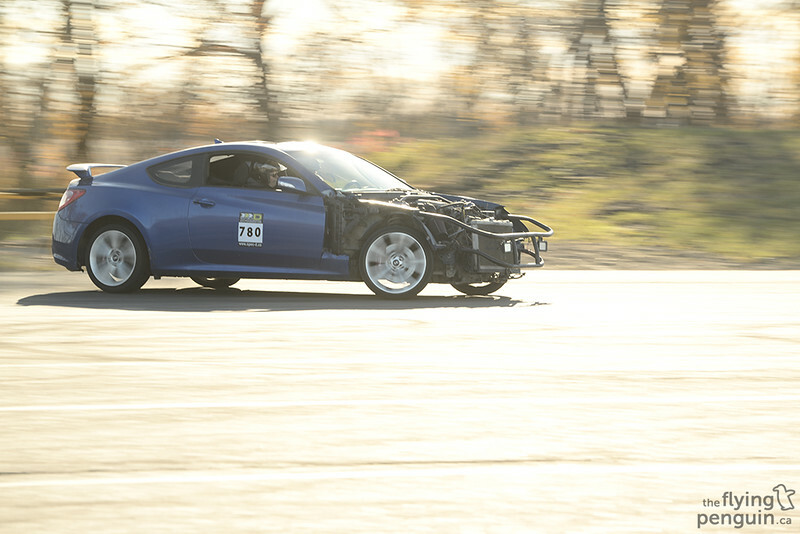 The heavyweight Charger seemed to be quite the handful for this driver. If you look closely you can see the terrified expression of this guy. He also did the entire run with one hand out the window! …whereas this guy on the other hand just nailed it. …especially when the car is pointed right at you! 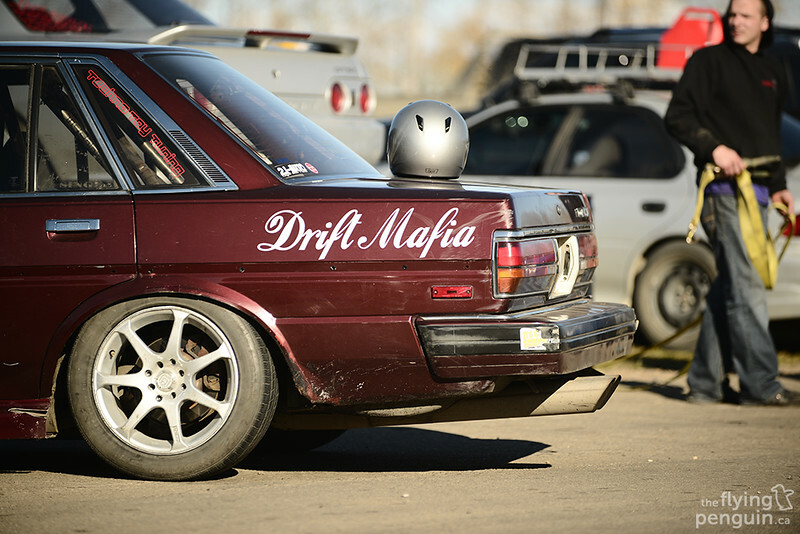 Despite being an all-day “drift-for-all”, Spec-D was also hosting a mini competition where pretty much anyone could enter. …to veterans! Sorry I just had to post one more picture of this badass car. Some of these guys weren’t afraid to really rock their cars to the absolute limit either. 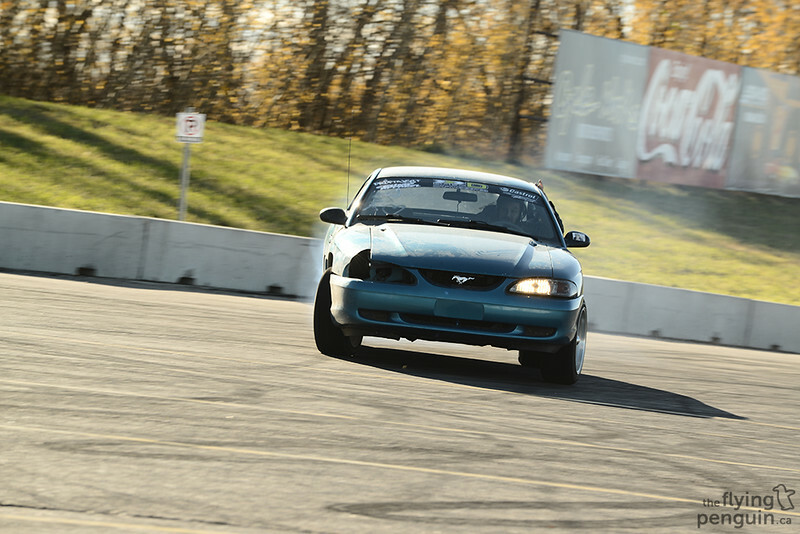 Check out that rear bumping hanging on for dear life! 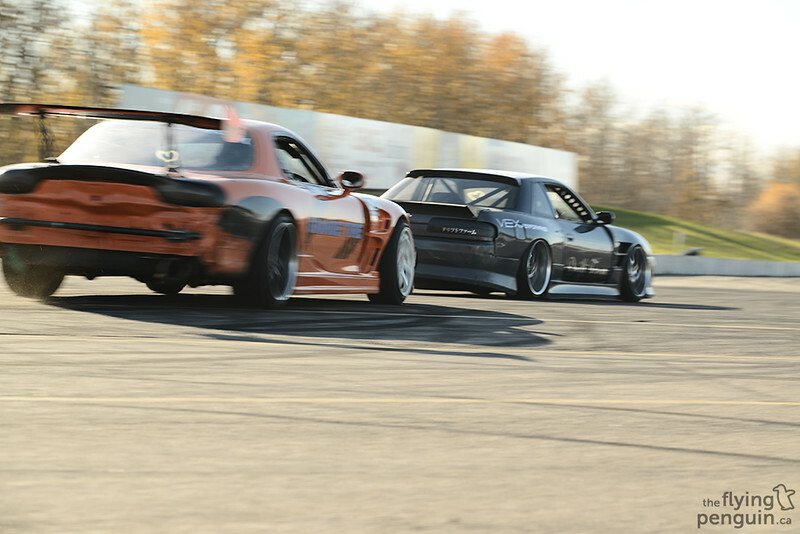 In the end it could only be the Grande Tire FD up against the Drift Farm S13.4. 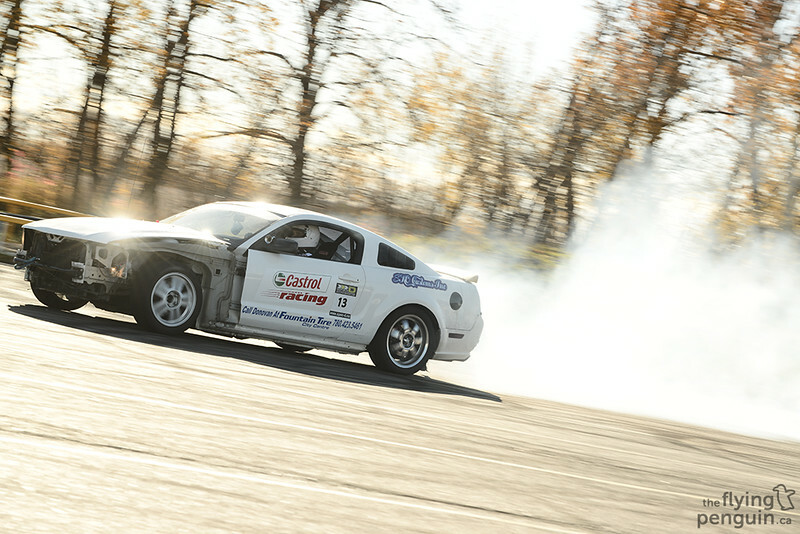 …giving the win to the Drift Farm team (I promise this is the last photo of this car that I’ll post)! After the mini competition it was time for open practice again. 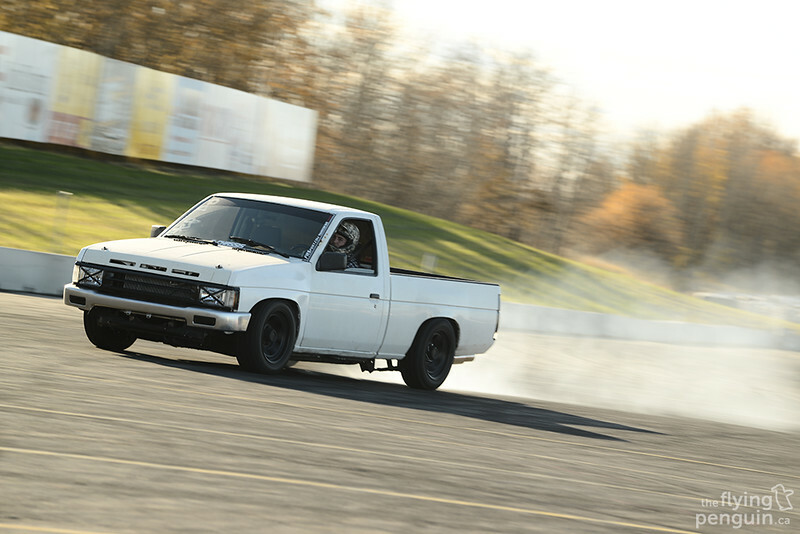 Probably one of the more interesting vehicles running that day was this truck (sorry but I don’t know my trucks!). 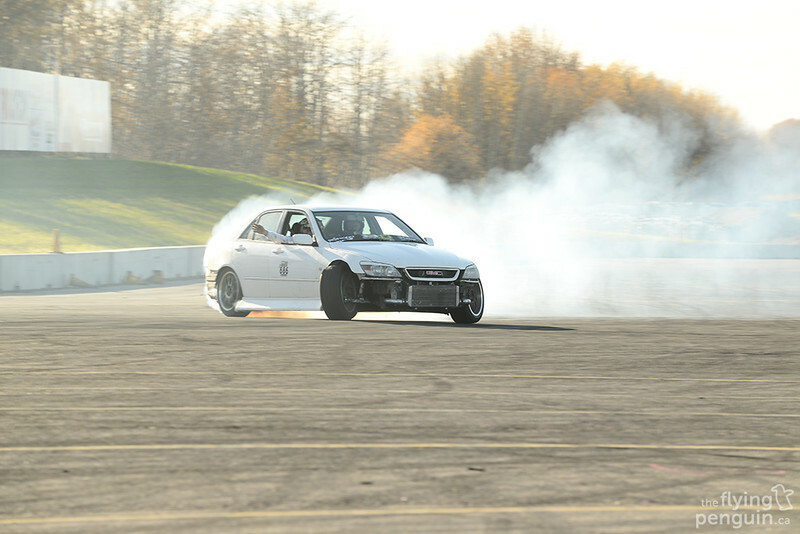 It seemed to suffer from a lack of power however, thus had a little trouble getting sideways throughout the day. 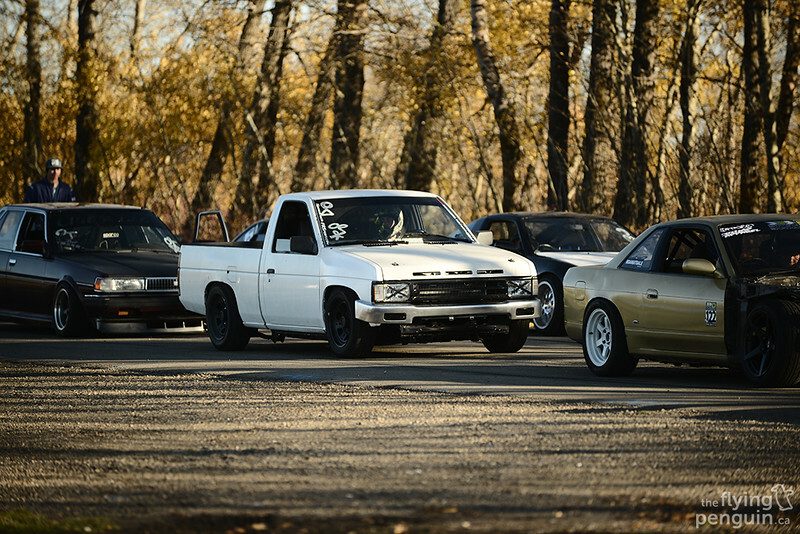 Old school Cressida’s are just too cool. They’re even cooler in action! This is probably one of the biggest wings that I have ever seen. 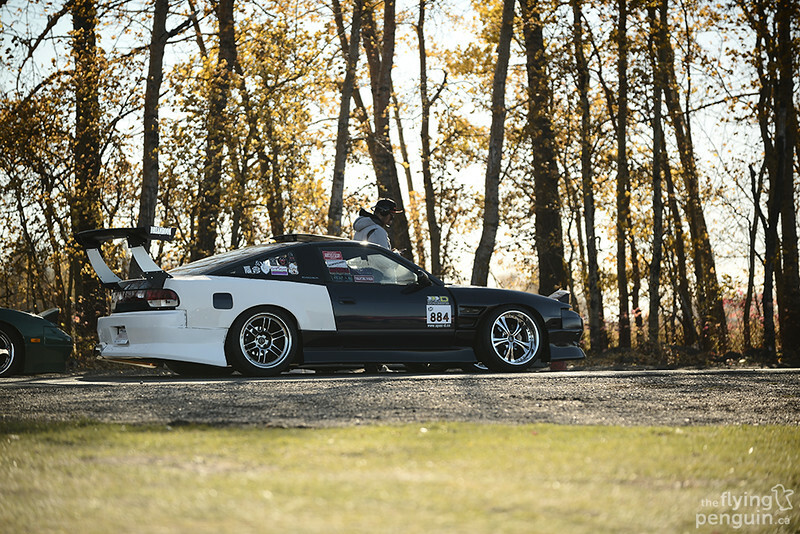 This VIP’d GS300 was almost too clean to drift. It didn’t stop this guy though! 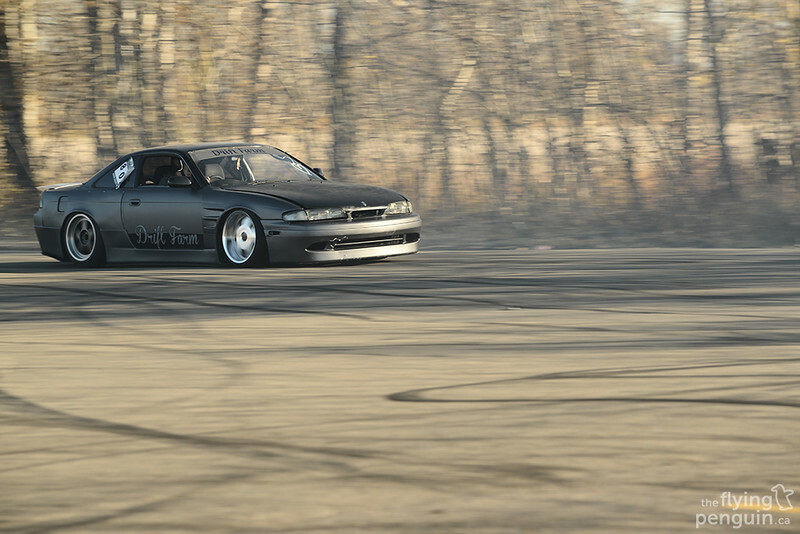 Another car from the Drift Farm team, this S14 couldn’t help but remind me of the 326POWER cars from Japan. 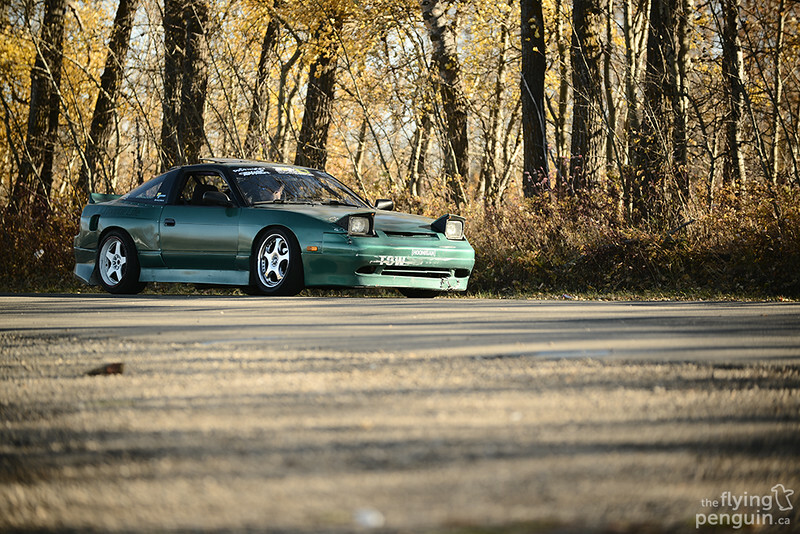 I’ve always liked the S13 chassis and actually came very close to buying one a few years back before I bought my Integra. 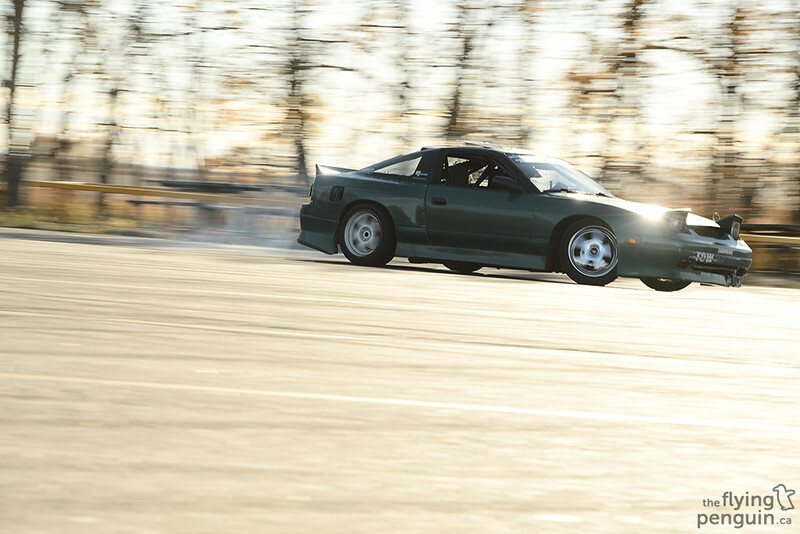 Maybe one day I’ll get one to cure my drifting itch. 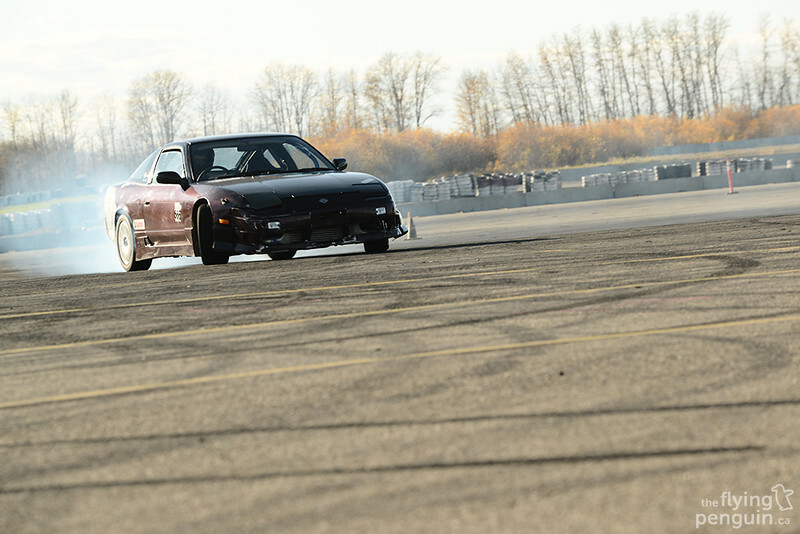 While we’re on the topic of S13’s, I’d like to say a special thanks to Adam, driver of this 180SX who was kind enough to give me a couple rides! And just like that, the season has come to an end. While some of us are sitting patiently for next year to come, many of us are accumulating even more parts for our summer toys. If only the wait wasn’t so long! There are also many more pictures in the Flickr link below so make sure to check it out!